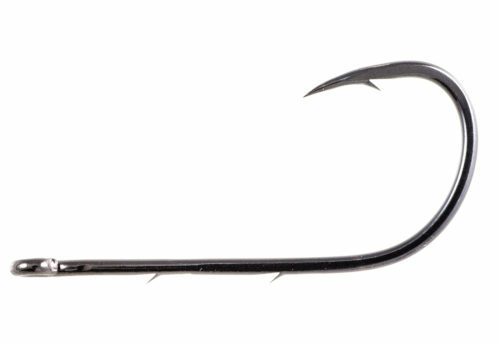 Herring Mosquito hooks are made from High Carbon steel wire and are designed to be light and sharp for natural bait presentation and instant penetration. The offset point helps improve hook up ratios and the forged design help make these hooks incredibly strong relative to the wire diameter. With eyes more in-line with the shank than most typical octopus style hooks, these hooks can be threaded through herring with minimal damage to the bait. Features include Super Needle Point and Black Chrome finish.